construction and remodeling projects for both homes and businesses. We can meet the needs of commercial and residential clients alike, with scalable capabilities that remain affordable. We belong to the American Institute of Building Design (AIBD) and the Central Oklahoma Home Owners Association (COHOA). We’re an all-in-one home designer and builder, offering a complete scope of home design and construction management services. We offer complementary consultations and we love getting to know each of our clients and their vision for their homes. Our teams are capable of modifying stock house plans. You simply explain what you want, and we modify the plan to create the perfect version for you. 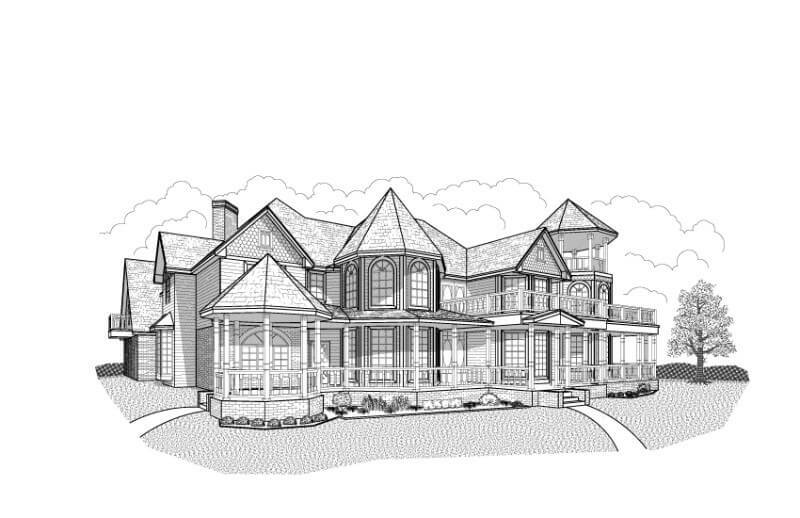 If you’re looking for an experienced architectural designer, look no further than Perry House Plans! For a half-century, we’ve been designing beautiful homes and buildings that meet the needs of our clients. Whether you’re hoping to invest in an entirely new abode or are looking for ways to leave your special signature on your existing piece of real estate, you can count on us to provide you with dependable design services. Our firm is capable of carrying your home construction or renovation project from start to finish. We even assist businesses with commercial sites! If you’re hoping to learn more about what Perry House Plans can do for you and your home, schedule a free consultation today. We want to get to know your vision and bring it to life!